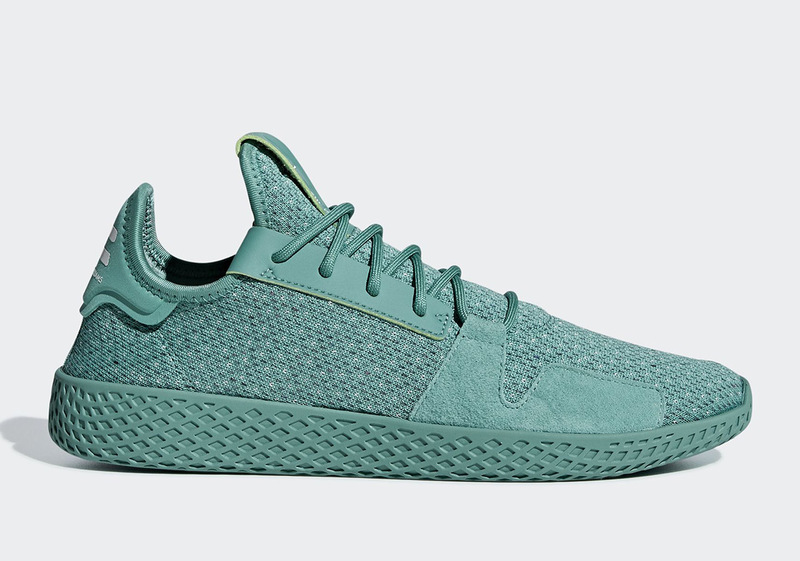 While Pharrell‘s co-created family of adidas NMD Hus understandably garner most of the consumer fanfare as far as his eponymous line of Three Stripes sneakers are concerned, the Tennis Hu silhouette offers up a nice alternative for the more casual fan. Devoid of the same hype and high-end retail price of the NMD, the Tennis hue carries the same design language as its predecessor with Williams’ branding on its heel and tongue, and a seamless one-piece upper. Major deviations from the rest of the Hu line include a Boost-less sole unit with a unique waffle traction pattern and a new-look woven upper. Fans of the simple silhouette now have their choice between a Spring-ready duo of monochromatic Tennis Hu V2 options with a a True Green variety as well as a Shock Yellow version. Grab an official look ahead and head on over to adidas.com right now to grab your pair for $110 USD.